The Super Humans both as a physical reality and also as a metaphor are here. You are being slowly acclimatized to these findings and experiments just as they told you in the movies i.e. 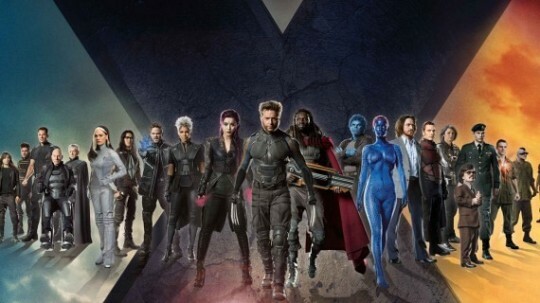 X-Men Mutants. These are your new Super Heroes and Heroines which you are supposed to worship as False Gods. Your Movie Stars and their Money are your False Gods. Remember Radiation and the Terra Forming of the Plane Earth for the Reptilians Overlords using the deception of Global Warming and Carbon Emissions so that it becomes more habitable for them and they can finally come of their underground hiding places and freely roam the Plane Earth. The Beast of the Earth is here and will now finally be unmasking himself for all to see and accept. Radiation only makes them stronger and us weaker. Hollywood aka Holywood the Magician has to tell all for the spells and hexs to work on you. Your battle lies in paying attention and seeking refuge in the true and everlasting words of the All-Mighty. HAQ.